The holidays can really usher in emotions and feelings that we find much easier to suppress throughout the rest of the year. We may find that we lose patience with the long lines at the shopping mall, and our email inboxes seem to be completely taken over with advertisements for our favorite restaurants, discounts on air travel and holiday party invitations. It’s definitely “the most wonderful time of the year,” but it can also absolutely be the most stressful. So, rather than hiding in the supply closet during the office party, there are some ways to make it through the season with your dignity still intact. Let’s explore a few! Some people are under the impression that the holidays are a time to relax and to take a step back from the worries of day-to-day life. Apparently those with this opinion have never had to host a dinner, plan a toy drive or shop for picky relatives. When you find yourself volunteering to head up committees or offering to cook the honey-baked ham at your house this year, be sure to know your limitations, and be wary of taking on any unnecessary stress. This isn’t the time to be an overachiever. When you are leading the brigade, don’t be afraid to delegate and lean on others to help get the job done or achieve a goal. Remember, you’re all in this together. Sometimes it is impossible to skip the holiday invitations that will place you in the same room with people that you could definitely wait another year to see. However, don’t deprive yourself of the joy of having a good meal with loved ones or watching children tear into their perfectly wrapped gifts with a frenzy. Instead, have a plan in mind to extricate yourself quickly and easily from a bad situation, should it arise, side-stepping the attached stress and anxiety. Walk outside to place a phone call or even run back home to retrieve a “forgotten” present. Sometimes there’s nothing more freeing than the possibility of a well-executed escape plan! 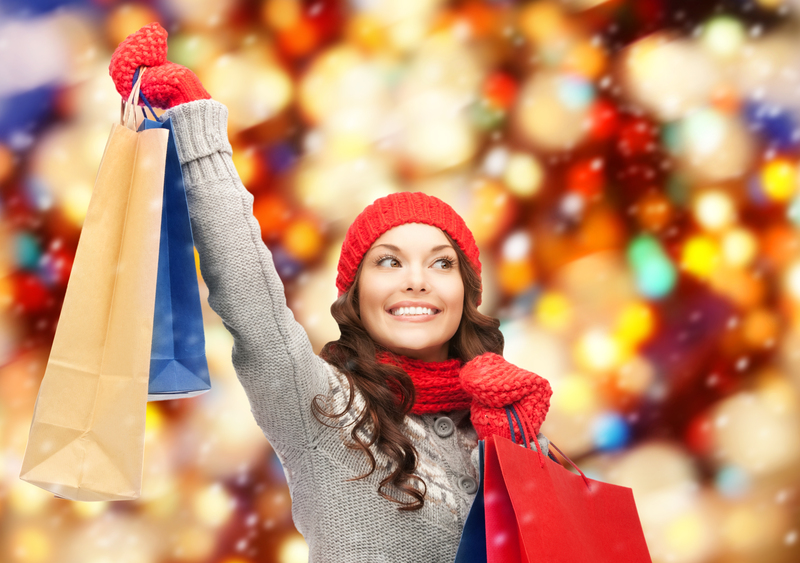 When it comes to the nearly overwhelming power of the bewitching wiles of holiday retail, filling up the shopping cart before you even get to number six on your gift list can easily become your reality, creating months of stress when the credit bills start rolling in. Trying to keep to a budget can be difficult, especially when families continue to grow, and prices never seem to go down. But creating a list with gift ideas, including estimated pricing, can go a long way. Also be sure to keep your eyes open for special deals and discounts, especially online, and even if it involves looking up promo codes and clipping coupons. Plus, you can sign up for email notifications a few weeks ahead for your favorite stores, ensuring you won’t miss that big sale. If you are already on a strict workout regimen, regularly practice yoga or simply take a brisk walk around the block after dinner, don’t use the holidays as an excuse to turn back into a couch potato. While you can definitely take a step back, and maybe even skip that cardio on Christmas Eve, be sure to remember to keep active. Now, this is isn’t just to keep your ideal weight or fit into those new jeans, but exercise can definitely attribute to your overall well-being, greatly reducing stress. Many embrace physical activity as a way to clear the mind and unplug, so be sure not to skip it when you may need it the most! Things may not always go according to plan, especially during the holidays, when schedules change and workloads may pile up during time off. The best way to face these impending adjustments is with an open mind, ready to roll with the punches and embrace change. Dinner may be held at a different time this year, or your flight might be unexpectedly rescheduled. But don’t see these incidents as negative, but be understanding of the fact that the holidays can sometimes create circumstances that interfere with normal daily activities or cause scheduling conflicts. You may just find yourself welcoming in a new holiday tradition or discovering that you aren’t as set in your ways as you once thought that you were. Angela is a professional article writer and editor, specializing in self improvement and health topics. She is also the Content Manager for Mentegram, a mental heaththcare company that has helped over 200 therapists provide better care to over 1,500 patients.